Fine artists are increasingly turning to skilled craftspeople to help them realize their works. 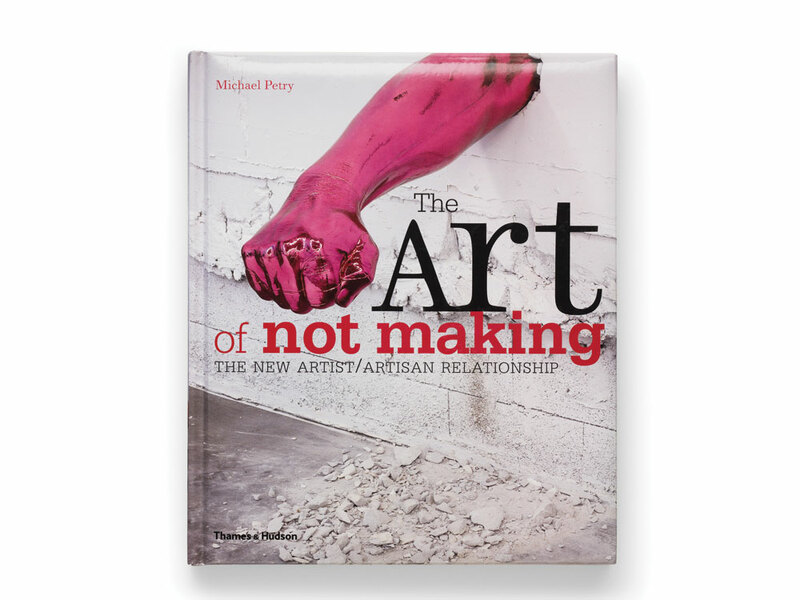 Michael Petry talks to us about The Art of Not Making. What could I - an editor at a craft magazine - have to talk about with the author of a book titled The Art of Not Making? Plenty, as it turns out. 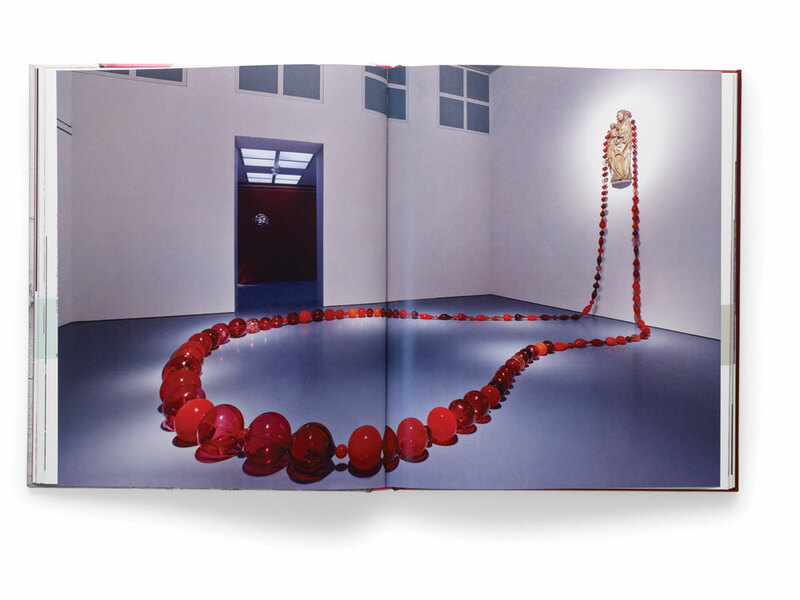 Though Michael Petry approached his latest book project, quite naturally, from his background as an artist, curator, and the director of the Museum of Contemporary Art, London, he has assembled a volume that addresses issues at the crux of the conversation between art and craft. In the book's lushly illustrated 200-plus pages, Petry has chronicled a rising movement of artists who have realized, as he puts it, "I don't have to know how to pour bronze to make a work in bronze" - and the craftspeople, artisans, and foundry workers who help them do it. Brilliance? Blasphemy? There's a whole lot more to the conversation. And it's one that Petry - who exudes energy and good humor, even over the phone from his studio in London - is more than willing to spark. The Art of Not Making starts from the observation that, in recent years, the fine art world has returned to a "highly crafted aesthetic" - and, in many cases, is relying on craft artists and/or artisans to realize it. What's driving this shift? Lots of things. One is that [fine] artists are interested in objects again. At the same time, they feel they have - and I would say they do have - the freedom not to have [specialized] skills, but to work in a directorial way, to garner and gather those skills to produce objects. So the imagination of artists is expanding, or at least growing, in a new way - with new materials, new methods of presentation. The museological space, for better or worse, is also very interested in spectacle, which requires bigger kinds of works, which are almost never made by one person. So you're getting works like the Charles Ray Firetruck. It's a massive piece - it's the size of an actual fire truck - which in the past would not have really found a place within a traditional museum. It was actually parked outside the Whitney for the 1993 biennial; it was too big to go inside. So classic craft mediums, such as glass, are appearing in a fine art context - but the authors of the works didn't physically make them. Does that blur traditional boundaries between art and craft - or heighten a maker versus not-maker divide? I hope it's dissolving boundaries, because they're artificial in the first place. A lot of the work that I make, I make in the general sense: I produce it in my studio. I don't produce the glass because it's a highly specific kind of object-making. And I think that's fairly true for a lot of artists. Kiki Smith makes her drawings, her paintings - but she doesn't make the glass, because she doesn't blow glass. We're also seeing people like Dale Chihuly, who makes work from that point of view of craft. He doesn't make anymore because he's been blinded in one eye, but even before that, he was designing things and had huge teams of people making them. So that line is being blurred from both sides of the traditional boundary, which I think is a good thing. At the end of the day, the question should be: Is it a good piece of work? Is the question ever "Whose work is it"? I did a lot of interviewing with artists, but also with people who would be considered artisans, about this making process. All the makers felt that the work they were asked to make for someone else was not their work. Generally the other artist was asking them to do things completely not in their realm of conceptualization around "I [personally] would like to make that." At the end of every movie, you have a huge list of credits of all the people who did all the different things. But it's still a Martin Scorsese film, or any other director's film, because we understand what that means - it's their vision. A work blown for Kiki Smith is still a Kiki Smith piece. That's a great metaphor - but does the average museum or gallery visitor understand that's what's going on? No, no, not at all. That's why I wrote this book, because of the number of times people have said to me, "Oh, how do you blow glass?" I wouldn't know; I don't actually do it. I'm there, I'm overseeing, and I have some real understanding on the intellectual level, but I haven't actually done it - and I haven't actually felt the desire to do it. Because I absolutely understand how difficult it is. What I want people to know is, yes, this was by this artisan, we collaborated on this, this is the end result. What I am always talking about is trying to find honesty in labeling. I can't think of a case when an artist would say, "Don't say I didn't make that." In a catalog I always put [who worked on a piece]. Yet museums often seem reluctant to put that [information] out there. Sometimes even in your book that information is not available. It's mysteriously, even frustratingly anonymous - "used the services of expert craftspeople," for example. That's where the [artist, museum, or gallery] could not provide the information. When I did the first installation art book [in 1994], so much information was missing. People didn't understand what they needed to keep. That's on the whole what is happening with this kind of work. See, that's fascinating. I thought maybe they didn't want to reveal their sources. There were two or three people who said: I don't want to be in the book. OK, that's fine. Certain people can take that position. But this book is, as a whole, a very positive book that's looking at artists who feel perfectly happy with this. They simply may not have thought, "I need to take everybody's name down." Which I hope more and more people will. If someone works on a project they should have that recognition. In a curious way, I feel this book is a start to a larger discourse. For one of your Q&As, you spoke to Sam Adams, an artist who also works as a fabricator for other artists, including Jeff Koons and Roni Horn. You ask if he would ever have something made for him. He says, yes, in theory, but that for him, there's a strong link between thinking and making. Is something lost when artists outsource touch? It's just a different process for making work. I make these large wood sculptures. You're allowed to touch them, and you have to, otherwise you don't realize the finish on them, which is like skin. But there's a lot of labor involved [in getting to the finishing point] that is not that interesting. And it just has to be done. So sometimes, absolutely, touch is important. It's just not always important that I am making, putting my hand to it at every stage. What worries me is this notion of the touch of the artist. That's the historical notion of the genius, which has led to this dysfunction between "the maker" and "the not-maker," between craft and fine arts. It's a mythical idea that history doesn't back up. Bernini would make a model, and his studio would carve it in stone. Finelli, his most famous student, quit, because he felt he wasn't getting enough credit. When he started his own practice, people didn't think he had anything to say. He was probably the best stonecarver in the world at the time, but his artistry was in the manufacture; he didn't have the ideas that Bernini had. Touch is important if it's important to you - but we shouldn't fetishize it. That's where the danger steps in, where it becomes easy to say, "Well, those craftspeople are just fetishizing the object-ness, and they don't have ideas." Well, then, where do craft artists - people who do both - fit in? I think every artist needs to make the work that they want to make. If you're based in the hand, as it were, in terms of making, that's fine. That's a perfectly valid way to make work. The dialogue within the art world, though, is more on the conceptual level - and there are a million kids who graduate from art school every year. And they're out there knocking on the doors of the art world. So if you're going to make it your work to be within the work that's traditionally seen as craft, you can't expect the art world will come and find you. If you're then unhappy about that, you have to find the language that's being used within the art world. To speak about the work in a way that says yes, I make it and I like making it, but that's only part of what this work is. This isn't a question you've actually asked, but it goes to the root of what has become an issue for crafts makers, which is that in the '60s, there was this huge, strong need to identify around craft and being craftspersons, in order to bring craft into the awareness of the general public. But having done that, they are now in a box. The question is: How do you break out of that and say, well, actually, we emphasized the craft so you would understand it - now we want you to understand that we're artists who make things? It's going to have to be crafts makers who open up that box. If someone from the craft world says, "How come I'm not in the book?" I have to say because it's not for me to write your book. I'm coming at this from an installation art background; I don't know enough about the making to comment. It's really now time for the makers to say, OK, we need to let go of things that are holding us back. I don't think that it has to do with the work - it has to do with nomenclature, with labeling, with perceptions. In Japan, a tea bowl is as revered as a painting. If you haven't had have four centuries of institutional learning that says paintings are better than ceramics, you simply look at that ceramic and say, wow, that speaks to me; I am having an artistic experience with it. In the West, we might say "and just from a tea bowl." But in Japan, they would never say "just from." So it's not only makers who have to let go of things, it's artists - people who see themselves as artists. That's why I think this book is interesting. These are artists who have let go, who are saying yes, I don't make this. I don't physically make this. I'm letting go of that La Bohème notion of the artist in the cold, freezing flat in Paris with violins playing and people dying of consumption. 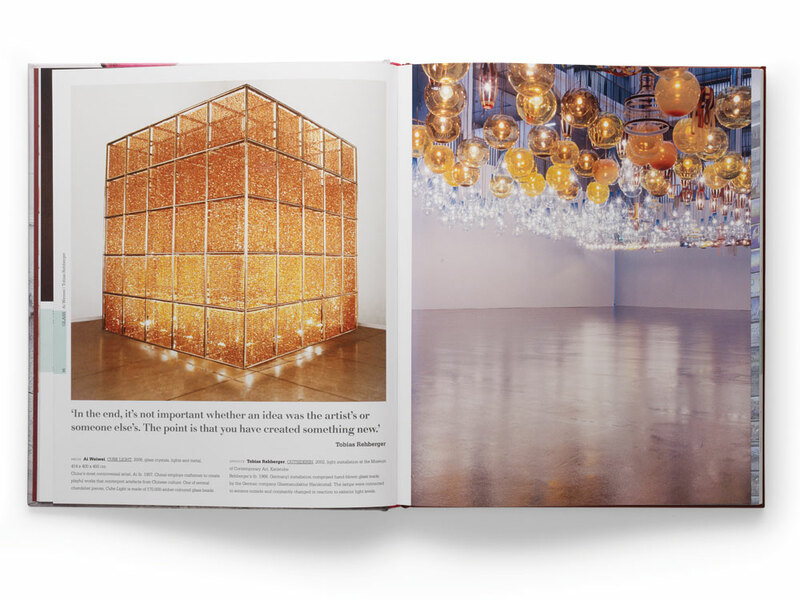 There was one reviewer who said your book - and this movement - indicates something wrong with the art world in general, and criticized the book for showing "inherently non-visual installations" that demonstrate the "new academicism of much current museum and saleroom art." How do you respond to that? I know the one you're talking about. When she referred to it as non-visual, I thought: What book did she pick up? I can follow the rest of what she's saying - because you can dislike this type of work, absolutely - but it's certainly visual. There's a piece by Jochem Hendricks that looks like a glass egg, and it's filled with sand. It's called 6,128,374 Grains of Sand. When you understand what he has done, it's unbelievable. He hired undocumented workers to do this nothing job, which resulted in this object, which is actually quite beautiful. But it's talking about an incredible situation in which undocumented workers have to do all sorts of banal jobs in order to survive. So on one level, yes, that's an academic work, but at the same time it's extremely visual. 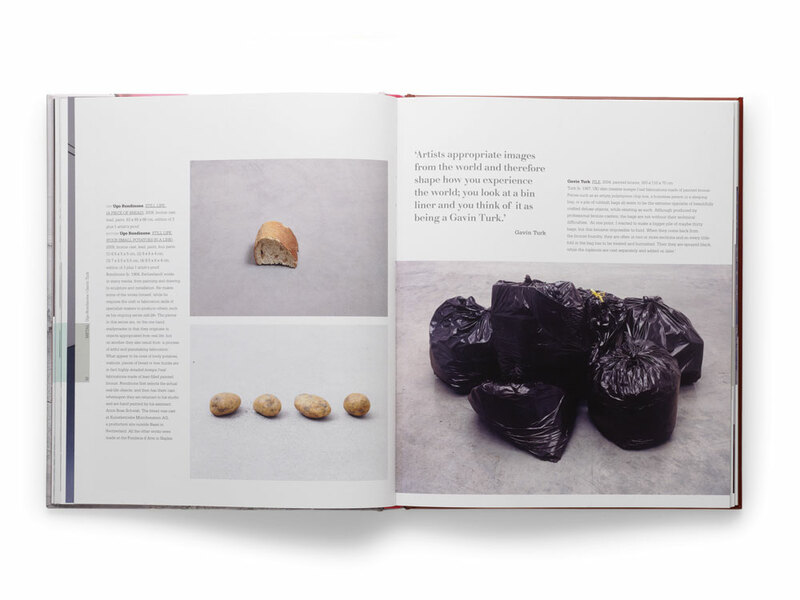 This book is not a clarion call to burn paintings or break the hands of people who make ceramics. It's just documenting something that's happening, that's part of another tradition - a very long tradition. Whether it's advertisers touting craftmanship, macho mechanics with a superiority complex, or craftivists proclaiming their own virtues, watch out: Craft is a lot more complicated than that. Gallery owners, online retailers, art dealers, and more share the inside line on the craft marketplace today. A group of Twin Cities arts advocates launches the world's first arts CSA.